The Festival of Racing is Victoria’s six-week summer and autumn showpiece that features Group 1 racing action on the track, and delicious food, relaxed fashion and family-friendly entertainment off it. Boasting prizemoney and bonuses of over $30 million, the Festival of Racing is headlined by nine Group 1 races and 13 country cups and will see many of the stars of the 2018 Spring Racing Carnival return in search of further glory. 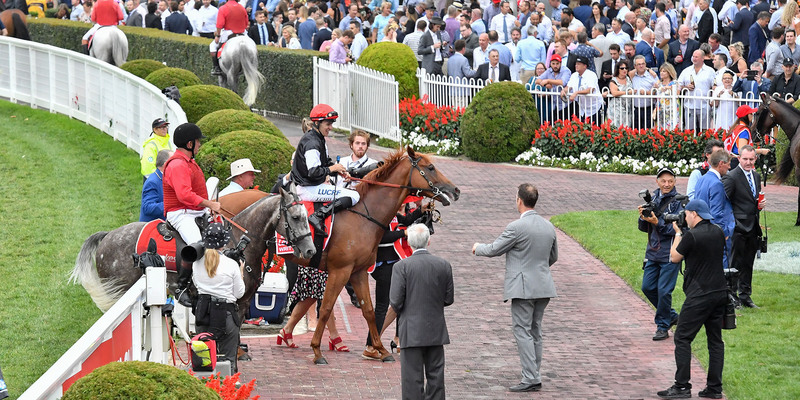 The Group 1 action gets underway at Caulfield on Saturday 9 February with the Ladbrokes C.F. Orr Stakes. There is plenty to see and do at this year's Festival of Racing. Group 1 Racing returns in 2019 during the Festival of Racing. 6 weeks of great racing, food and entertainment for everyone. It's not only the adults that get to have fun. There are kids activities on every raceday during the festival with the stand out being Caulfield Family Day and Australian Guineas Day at Flemington. There are 13 Country Cups race meetings across the festival giving plenty of opportunities to visit another region of Victoria to enjoy great racing in a relaxed setting. The Valley, Pakenham and Cranbourne host night races very week of the festival. Can't make it to the track on the weekend? Head to a night racing meeting to experience something different. Pack a picnic, or even a full esky at BYO picnic venues and enjoy racing at its most relaxed during the Festival of Racing.